Six percent of the population lives in what are known as megacities, places where the population is over 10 million people, and 78 percent of urban residences are in these cities. GES 4640 Mega-Cities, taught by geography professor Emily Skop, offers a glimpse into how these communities originated, along with how they have changed the social, political, economical and geographical aspects of the cities. 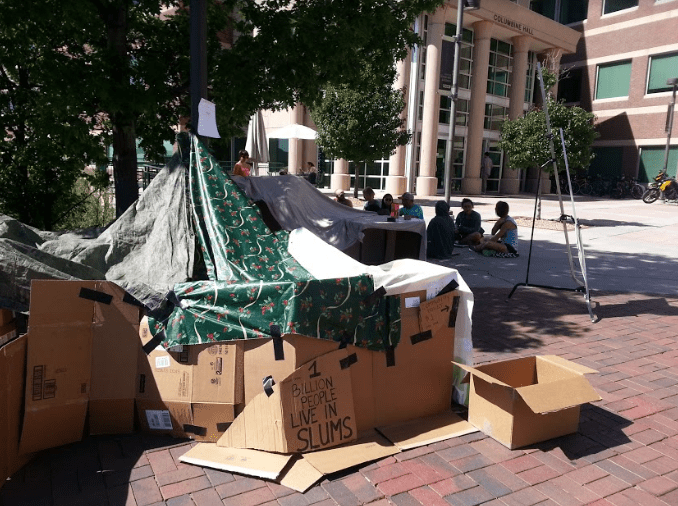 This semester, 17 students constructed slums to bring awareness to the issue of informal housing. Students had two weeks to gather materials used in a developing world and create the slum based off of the city Mumbai, India, where Skop has traveled to multiple times. Her visits to India inspired her to teach the course in 2008. 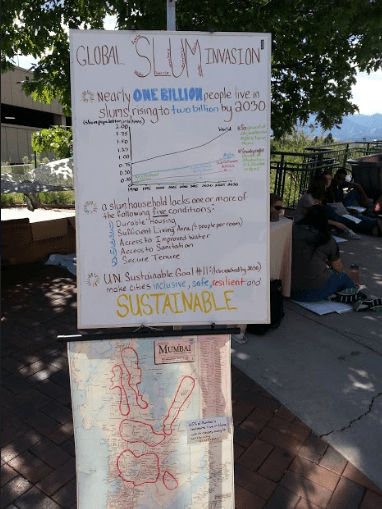 Skop is the founder of the UCCS Global Intercultural Research Center and hopes that the class will open the discussion about cities into her classroom. “I’m really interested in getting students to know about the bigger world. As time goes on, it is important for people to understand the impact of mega cities on the world,” said Skop.